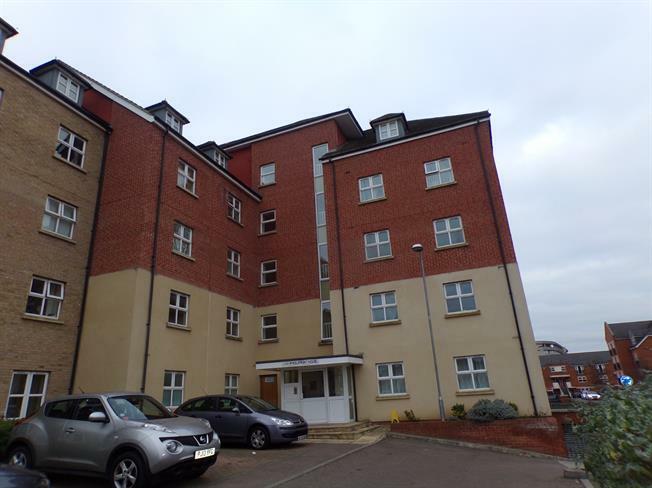 A very well presented two bedroom purpose built apartment located on the outskirts of Bedford town centre. The property is on the third floor and has lifts in the building. Benefits include double glazing, electric heating and an en suite to the master bedroom. There is an open plan lounge/kitchen with a balcony overlooking the rear. There is a fitted kitchen area and fitted bathroom and also has an allocated parking space for one car. There is a 986 year left on the lease. Electric heater. Storage cupboard. Doors to all accommodation. UPVC sliding double glazed door, opening onto a balcony. Electric heater. A range of base and eye level units with work surfaces over. Single sink unit. Built in hob. Communal areas and allocated parking space for one car.